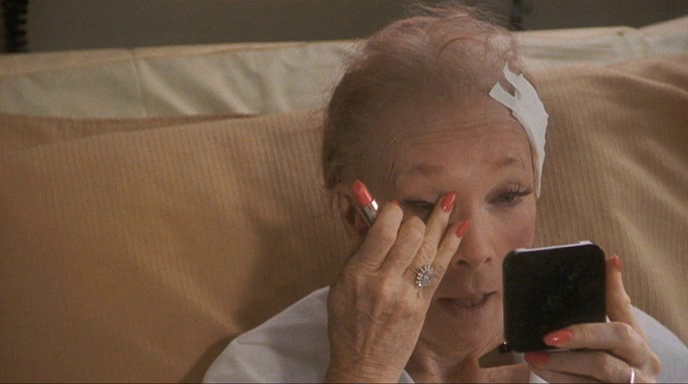 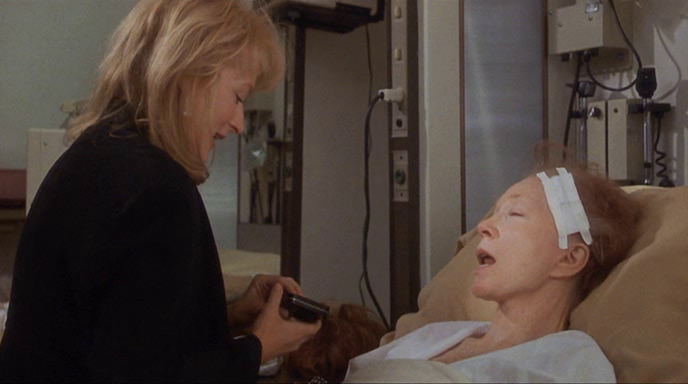 When Doris Mann (Shirley MacLaine) has a car accident and is hospitalized, her daughter Suzanne (Meryl Streep) puts on her make-up. 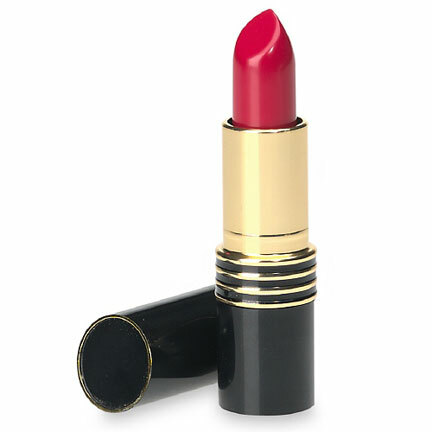 The peach lipstick she uses is by Revlon and matches her mother’s nail polish. 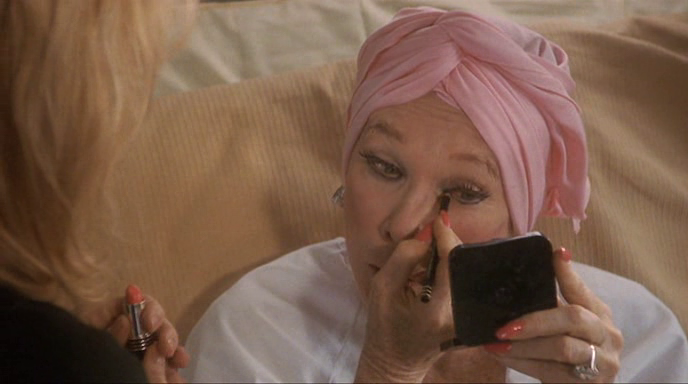 The compact Doris uses while putting on some black eye pencil is by Revlon again. 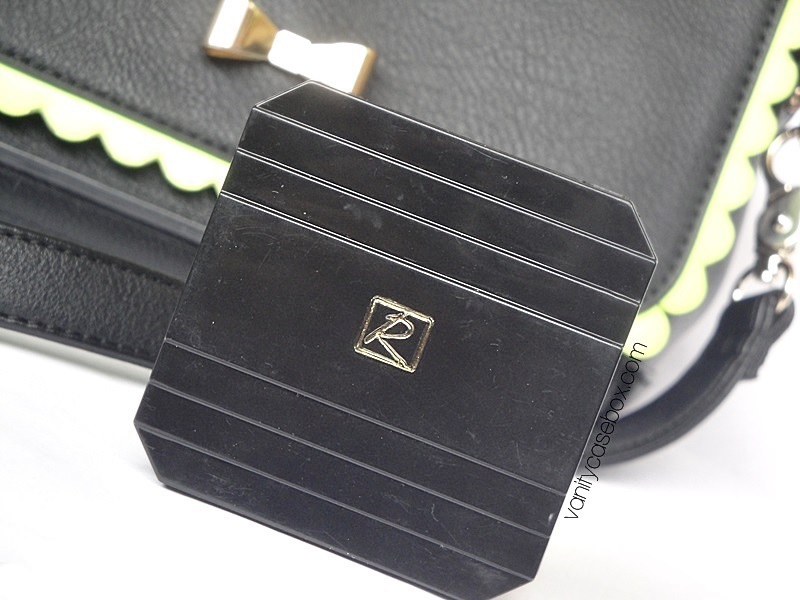 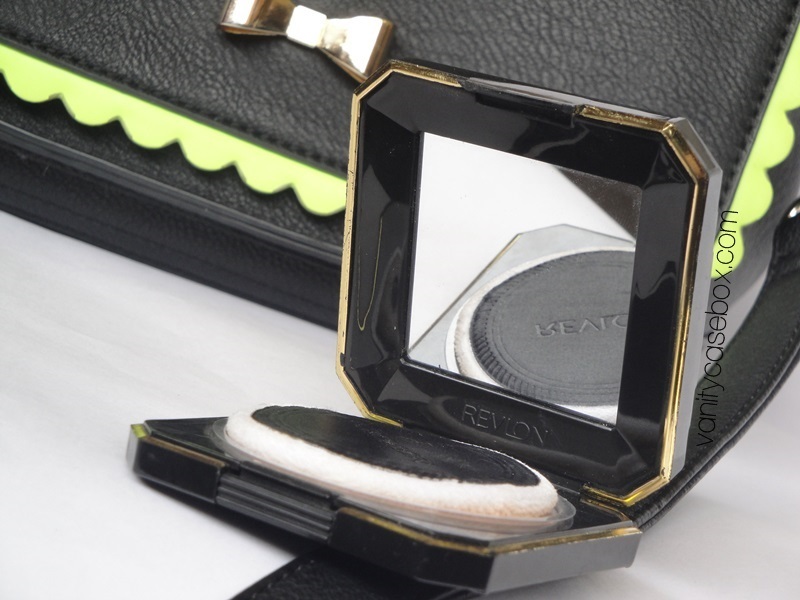 It’s made of black plastic with square edges; originally used for the Love Pat pressed powder, it’s now used for the Touch and Glow moisturizing powder. 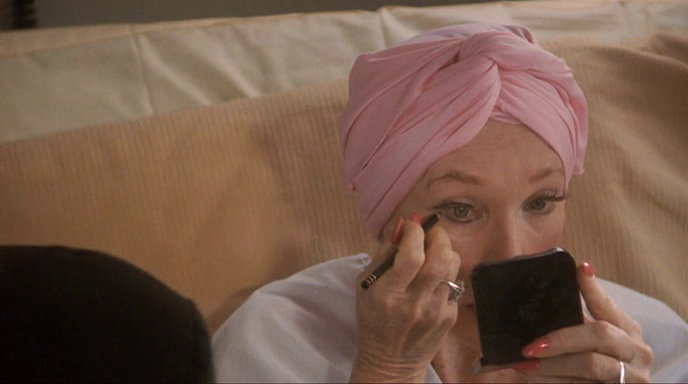 Judging from the three gold lines on the eye pencil, I think it’s another Revlon product.